I'm so glad there's such things as blogs and instagram and facebook so I can keep up with my brother & sister-in-law and my sister & brother-in-law because they're always up to something fun! Allie and Tate are living it up in China. Every weekend they're off climbing some mountain, visiting some temple, smelling some bloomin' flowers. They're young and childless and their pictures scream beautiful! 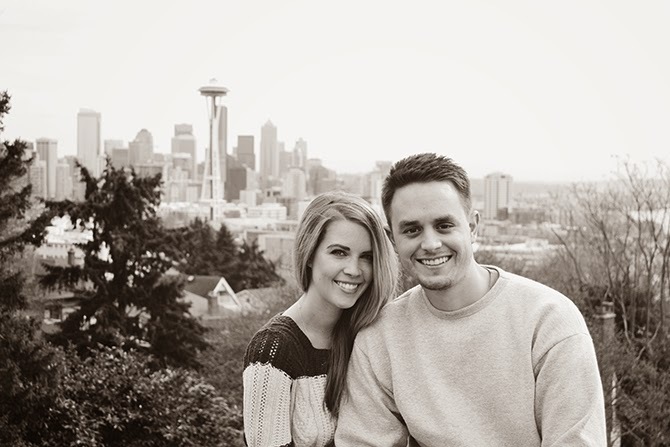 Eric and Tanya just moved back to Seattle after a 6 month work internship in Florida. I'm sure the weather is a drastic change! But Seattle ain't too shabby :) They go and see and do a lot of stuff and Tanya is great at updating the blog with their adventures. I miss my siblings. Wish I had a date to look forward to of when I'll see them again! Aw, I miss you so much! Are you going to go back to America for a vacation or anything? If so, we'll have to see you!!! Hopefully your siblings can come visit us sometime!